Dexter is also known as: Stoddard County / Dexter city. Zip codes in the city: 63841. Stoddard County funeral flowers can be purchased from one of the local funeral shops we partner with. Some of the notable people born here have been: David Lee (american football player and coach). Dexter is a city in Stoddard County, Missouri, United States, founded in 1873. The population was 7,864 at the 2010 census. It was revealed by Klamath Falls Herald and News on February 18th, 2018 that Amy Loudean Holmes (Jenkins) died in Oregon. Ms. Holmes was 88 years old and was born in Dexter, MO. Send flowers to express your sympathy and honor Amy Loudean's life. It was noted on February 8th, 2018 that Mae Elizabeth Dietrich (Smith) passed away in Dexter, Missouri. Ms. Dietrich was 95 years old. Send flowers to express your sympathy and honor Mae Elizabeth's life. It was written by South West Times Record on January 5th, 2018 that Beulah Ann Chronister (Martin) died in Ft Smith, Arkansas. Ms. Chronister was 91 years old and was born in Dexter, MO. Send flowers to express your sympathy and honor Beulah Ann's life. It was noted by South West Times Record on January 4th, 2018 that Beulah Ann Chronister (Martin) passed away in Ola, Arkansas. Ms. Chronister was 91 years old and was born in Dexter, MO. Send flowers to express your sympathy and honor Beulah Ann's life. It was reported by South West Times Record on July 26th, 2017 that John Charles Gaines died in Clarksville, Arkansas. Gaines was 83 years old and was born in Dexter, MO. Send flowers to share your condolences and honor John Charles's life. It was reported by Kalamazoo Gazette on July 9th, 2017 that William J "Bill" Maze perished in Kalamazoo, Michigan. Maze was 80 years old and was born in Dexter, MO. Send flowers to express your sorrow and honor William J "Bill"'s life. It was disclosed by Flint Journal on November 8th, 2016 that Robert Gene Williams died in Swartz Creek, Michigan. Williams was 89 years old and was born in Dexter, MO. Send flowers to share your condolences and honor Robert Gene's life. It was written by Flint Journal on June 10th, 2016 that Della Mae Snider (Richardson) perished in Flint, Michigan. Ms. Snider was 86 years old and was born in Dexter, MO. Send flowers to express your sympathy and honor Della Mae's life. It was revealed by Flint Journal on February 23rd, 2016 that Lawrence A Putney passed on in Michigan. Putney was 83 years old and was born in Dexter, MO. Send flowers to express your sympathy and honor Lawrence A's life. It was revealed by Union Banner on February 10th, 2016 that George L "Ske" Lepchenske died in Aviston, Illinois. Lepchenske was 76 years old and was born in Dexter, MO. Send flowers to express your sympathy and honor George L "Ske"'s life. 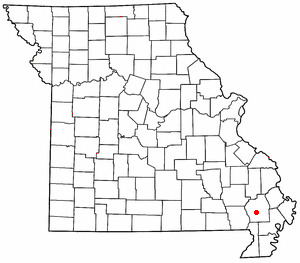 Dexter is a city in Stoddard County, Missouri County, Missouri, United States, founded in 1873. The population was 7,356 at the 2000 census. . . .
Mrs. Schmittzehe survives of the home in Dexter. Besides his wife ... 2010 at 2 p.m. in the Rainey-Mathis Funeral Chapel. Interment will follow in the Missouri State Veterans Cemetery in Bloomfield. Listing all funeral homes in Dexter, Missouri so you can easily send flowers to any location (same day delivery) or find any funeral service. Helpful information about Dexter, Missouri including area agencies, Chamber of Commerce, city government and services, healthcare, climate and more.